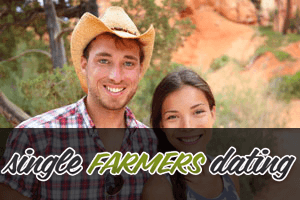 If you found your soulmate in someone that loves to work the land and live off it – a.k.a a farmer – congratulations! Loving someone is a great gift, and even though you might be from very different backgrounds, that doesn’t mean that your relationship can’t work, it just takes time to work out the kinks. Farmers are in love with their land, they live off the fruit of their labor and are proud of it. Not many people are as capable and reliable as farmers, and these are some of the most redeeming qualities you can find in a partner. If you decide that you wish to spend your life with one, you need to be aware that it will take some adjusting to their way of life and behavior, which may be a bit difficult to comprehend for an outsider. When you start sharing your day-to-day with a farmer, there are some things that you will need to get used to. For one, your life on the farm will not really be like anything else you have experienced before, especially if you lived in a city. Time in the nature is measured differently, as whatever it is you’re farming is one of the key points around which time is measured. This means that your time will depend heavily on the growing of the crops, planting, harvesting and everything in between and it will matter to you, even if you don’t believe so now. If you want to lead a good life on your farm, it’s very important to learn to be flexible and simply go with the flow, it will make your life a whole lot easier, not to mention that you will avoid unnecessary annoyance when your partner decides that some things need to be done straight away, and no, dinner is not more important to them at this point. During the busiest time of the year, don’t expect to see as much of your partner as you would like to. They will be completely focused on the work that needs to be done, so that they can secure a good living for the rest of the year, so it’s important not to take this personally. It is very difficult to understand this mentality in the beginning, but you will find yourself working a lot as well, since two heads are better than one and chances are, your partner will need all the help they can get. One other important thing to think about is learning how to be independent within your relationship/marriage. Of course, while you’re still getting used your farm life, ask questions whenever you get a chance. However, as time goes by, find ways not to depend on your partner as much. Chances are, you will need to know your way around the farm and all that surrounds it, so feel free to explore, even get a plat book to help you. Your partner will appreciate your efforts very much and will be motivated to rely on you. Try not to be too hung up on schedules, because they won’t hold out for long. 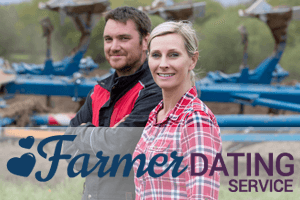 Some chores and works around the farm take more or less time, so try to be as pliable as possible when it comes to your partner coming home from the work, even if it’s rather late. This doesn’t mean of course that you should always tolerate the tardiness, just make sure when to put the argument on the table, and always keep in mind that your partner wants to get home to you just as much you do. Going out and attending different events can become challenging, especially if it’s a busy time at the farm. Living with a farmer means that you and your land come first, and everything else is squeezed in between if there is any room left. Sometimes just finding time to spend it with your sweetheart is hard to find, so you should try and incorporate it into your daily activities, be it on a tractor, in a field or simply driving through the fields to check how the crops are coming along. When the hard situations come up, and they will, don’t panic and focus on the positive. There will always be a way to overcome obstacles, as long as you keep your wits about you and stand strong with your partner. It will only make your relationship stronger. Life with a farmer is an adventure, at times a very challenging one, but it is definitely worth the effort, as you will end up falling in love with both your farmer and the land you’re working together even more.